Photo of the entrance of Plateau State Government House. Secretary to the State Government, Rufus Bature, announced the decision in a statement on Monday. “In view of the relative peace and calm that is gradually returning to Jos South, Barkin Ladi and Riyom local government areas, the Executive Governor of Plateau State, Simon Lalong has approved the relaxation of the earlier dusk-to-dawn curfew imposed on the areas from 10:00 p.m. to 6:00 a.m. with effect from today, Monday, July 2, 2018,” he said in a statement. 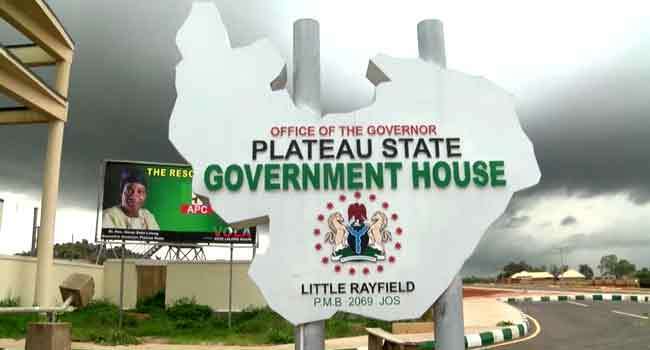 A day after the killings, on June 24, the state government had imposed a curfew on Barkin Ladi and two neighbouring LGAs – Jos-North and Riyom – to forestall reprisals and the break down of law and order. The attacks had attracted widespread criticism and led to the deployment of special forces to the state, and President Muhammadu Buhari, Vice President Yemi Osinbajo, the Nigerian Governors Forum as well as former President Olusegun Obasanjo all paid condolence visits to the state.